Did you know testosterone levels in men dropped 1.2 percent per year, or about 17 percent overall between 1987 and 2004? Did you know nearly 80 percent of the net employment losses from November 2007 to April 2009 were incurred by men? Did you know 58.9 percent of all graduate students in fall 2008 were women? Sounds pretty emaciating if you're a man doesn't it? 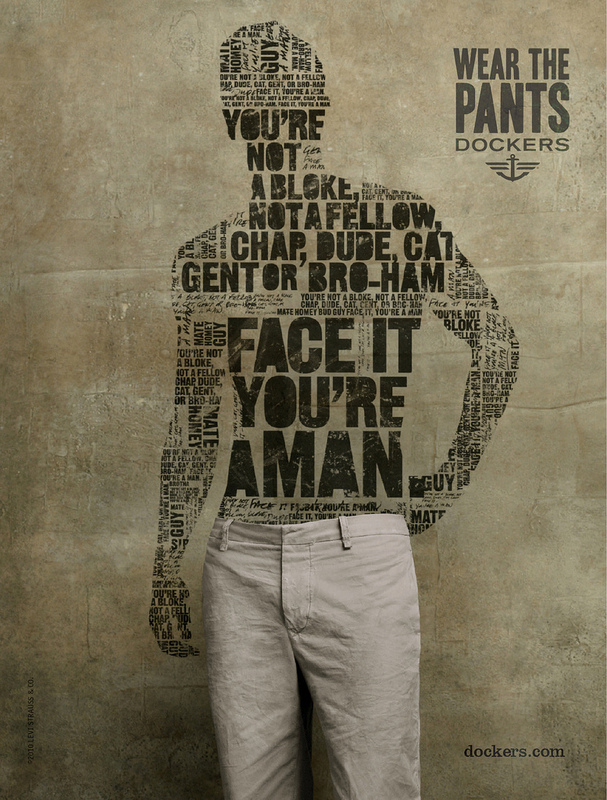 Well Dockers, yes Dockers, wants to put an end to the decline of manly manliness with a new campaign that screams "Wear the Pants." Yes, the preppy standby wants to "put forth a new definition of masculinity, one that embraces strength and sensitivity and appeals to men who can change a tire AND a diaper." Hear that, metrosexuals? Turn in your skinny jeans right now! With print, billboard, radio, social media, events and digital launching December 1, a new TV spot will air during the Super Bowl in February. 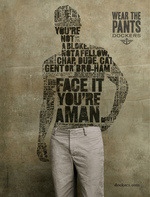 Created by DraftFCB, the campaign will touch 40 countries worldwide.